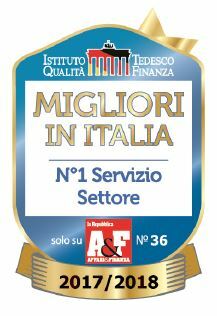 Bosch has won the “Gold Seal of Quality” for its customer service dedicated to the household appliances, achieving for the second consecutive year the first position in the rank “The Best in Italy – Champions in the Service”, promoted by the German Institute for Quality and Finance (Burda publishing group) and conducted according to the methodology developed by the Goethe University in Frankfurt. The “Best in Italy” survey, published in the October issue of “La Repubblica – Affari & Finanza”, examined the performances of 675 companies active in Italy and represents the largest research on the customer care quality at national level. This year, 200 companies more than in 2016 were involved, belonging to 89 different sectors. To analyze the quality of the service offered to the customers, the opinions of 133,000 final consumers were collected through an online survey where the respondents were asked if they have used the customer service in the last 3 years and what were their overall opinions. The level of customer satisfaction was calculated based on the Service Experience Score (SES): Bosch was ranked first with a score of 82.6%, up from 2016 (81.2%).